Our courses are all accredited by iTOL (the Institute of Training and Occupational Learning). We found the business writing course delivered by Alison Peck to be informative, engaging and very helpful. The session was pitched at the right level for both experienced and novice report writers and Alison made the presentation relevant to our business. She was prompt, organised and fun. I would highly recommend this course to anyone who has to engage with their customers with written documents as it will most definitely improve your writing skills. I commissioned Alison to deliver a Bid Writing course to myself and other members of my team, with differing experience and backgrounds. Alison was an excellent and extremely knowledgeable trainer who pitched the course at the right level for all delegates. The whole team benefited from the course and picked up many tips about bid writing. Additionally, many of us also found that information from the course would be useful for other types of professional writing, such as report writing and business cases. I would recommend Alison’s skills, knowledge and training to any team looking to improve their bid/business writing skills. I chose Alison to deliver Report Writing training for one of my clients because I knew from past experience that she would know exactly how to personalise the training and offer best value to the client in the time available. She is also one of the few people I know whose writing skills are impeccable. I wanted a trainer with the personal skills to be approachable and easy to work with, combined with the professional know-how to deliver a quality service which would leave the client with tangible outcomes. This is exactly what I got from Alison, who is reliable, dependable, creative and energising, I would highly recommend her. Alison provides technical authoring services in the company in which I am the Support Desk Manager. Our quality of support is dependent on the accuracy of the detail in the product documentation. Alison's attention to detail is 2nd to none, and with a bright and pleasant disposition she is a pleasure to work with. 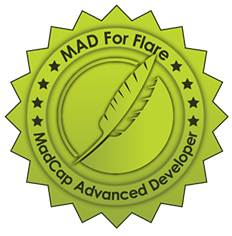 In June 2017, Alison was ‘Certified MAD for Flare’, which means she passed the test set by MadCap software (including submitting a sample project) and is now a MadCap Advanced Developer (MAD) for Flare 2017. We were very pleased when we heard that Clearly Stated had won the Instructional Class in the ISTC Technical Documentation Awards in September 2011. The award was for a user guide, Guide to ROSEGold , that explained an Interflora order management system to florists. 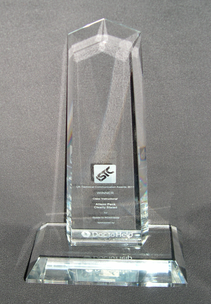 The award was presented at the Technical Communication UK 2011 conference by a representative from Doc-to-Help, who sponsored the award. A short article on winning the award was published in the Winter 2011 edition of Communicator .